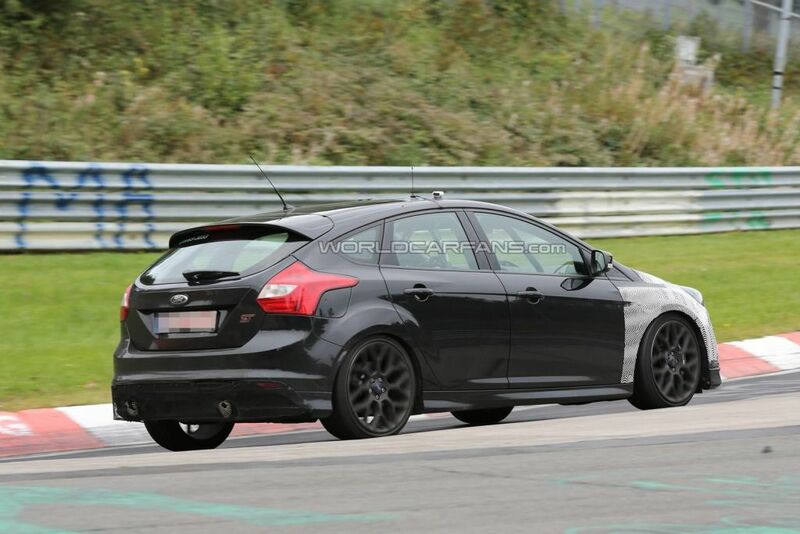 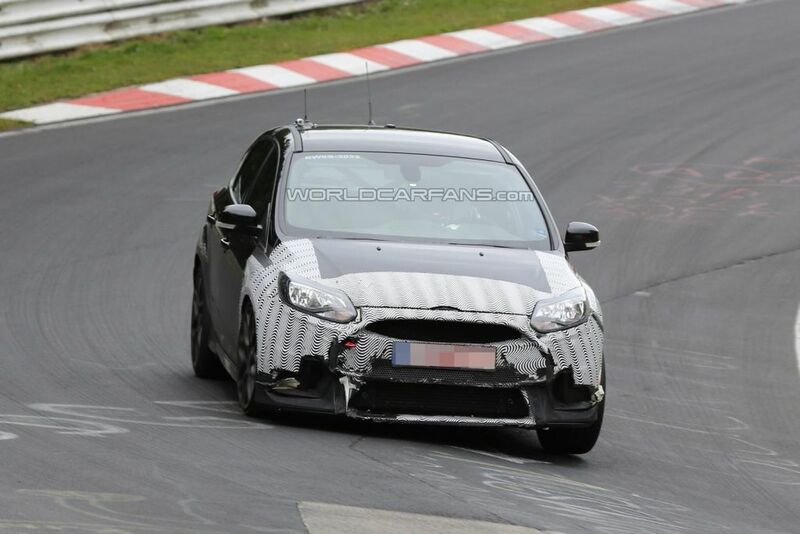 The 2016 Ford Focus RS has been caught testing on the Nürburgring and it had the production front bumper. 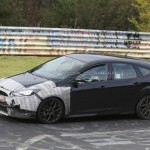 The third generation Focus is set to go out with a bang as the high-powered RS version will be out in 2016, a year before an all-new model will hit the market. 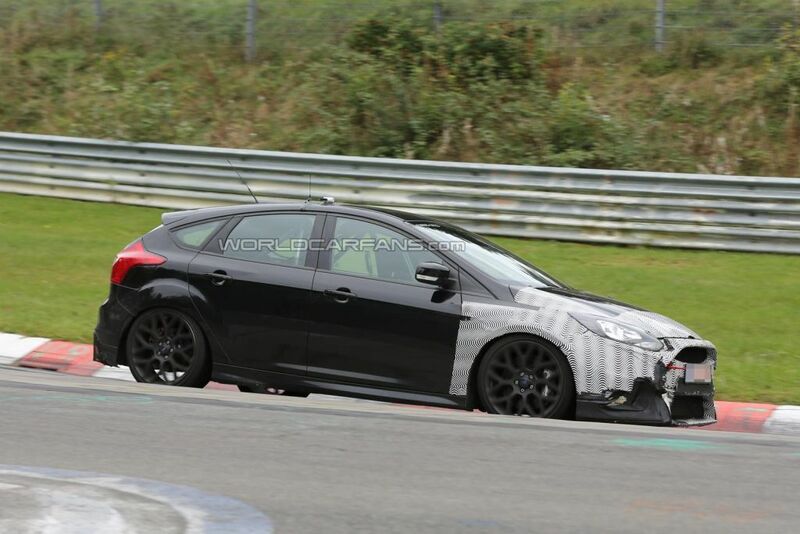 Seen in these latest spy photos is a prototype wearing the pre-facelift Focus ST body but with the RS-spec front bumper partially hidden underneath the camouflage along with a different dual exhaust system. 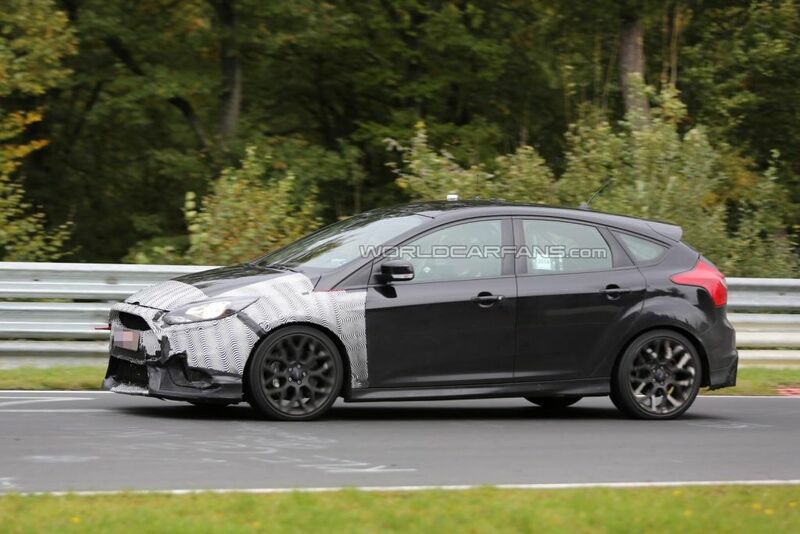 Unlike the previous generation Focus RS which was sold only in a three-door body style, the 2016 Focus RS will be available as a five-door model and is believed to make the switch to a newly developed all-wheel drive layout. 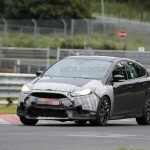 It will boast an updated variant of the RevoKnuckle front suspension, a Quaife mechanical limited-slip differential and will likely come with a rear wing which hasn’t been fitted on this prototype. 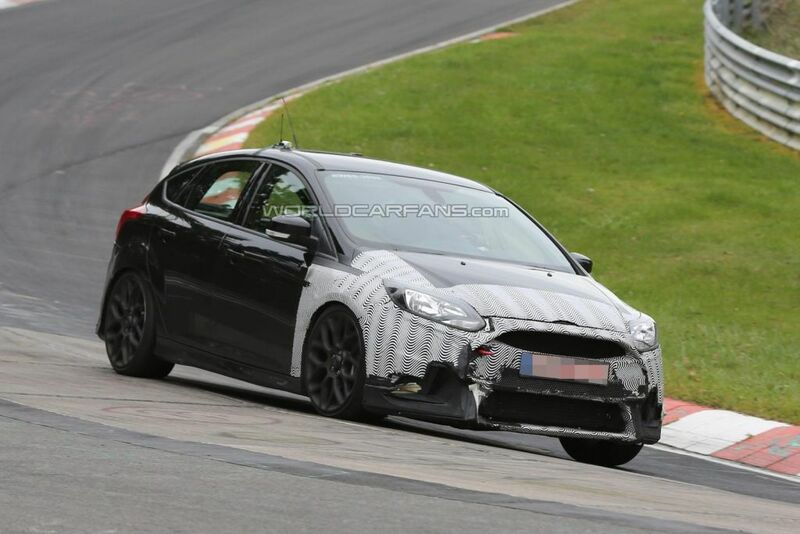 Motivation is expected to come from a four-cylinder, 2.3-liter EcoBoost engine sourced from the Ford Mustang but upgraded to as much as 350 HP (257 kW) sent to both axles probably with help from a six-speed manual gearbox. 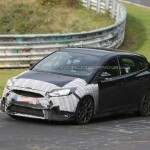 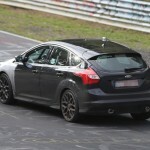 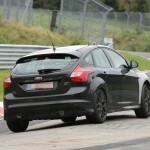 The Ford Focus RS is believed to come out by mid-2015 as a 2016MY while US availability is still unknown at this moment.